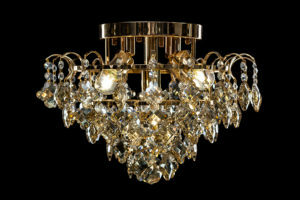 The Ultimate Cleaning Service will expertly clean and restore the brilliance of your beautiful chandelier. We have experience in cleaning chandeliers and lighting fixtures of all shapes, sizes, types (brass, iron, glass, crystal), and at any wall or ceiling height. 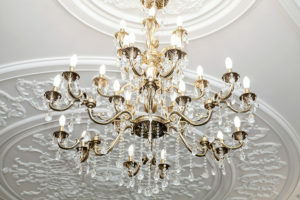 If your chandelier is looking a old, dusty and dull all is not lost. You can restore its original beauty and shine with an expert cleaning from the technicians at The Ultimate Cleaning Service. The Ultimate Cleaning Service has over 25 years of experience with chandeliers in both commercial and residential applications. Our chandelier cleaning services address all aspects of the intricate cleaning process. We give the utmost care to your fixture ensuring that it is cleaned and re-installed in perfect condition.